Mundane Lengthening Catalyst is a Blood Magic Alchemy reagent. 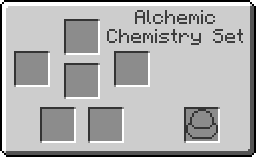 Adding the Catalyst to a potion increases its duration. Increases duration Strength I effect from 2:00 to 5:20. This page was last modified on 14 December 2018, at 17:02.